As experts we are all familiar with the process for presenting expert testimony in the American judicial system. 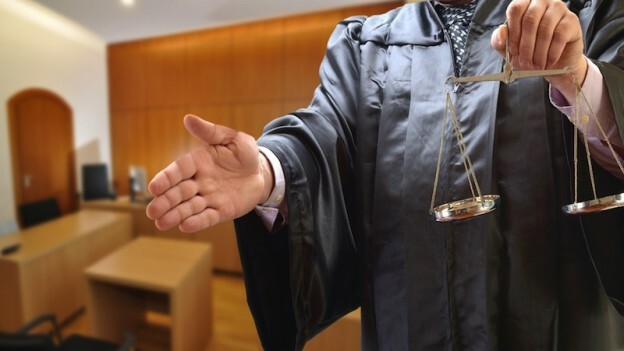 The plaintiff or prosecution typically calls its expert to testify as part of its case, and after the expert has concluded testifying on direct examination, been cross-examined, and perhaps then been subject to re-direct, the expert goes home. When the defense presents its case it calls its expert, and that often happens days or weeks later. The experts never engage in a dialogue, or respond to the other’s comments in real time, or even have a face-to-face debate on the relevant issues. While experts may be recalled to the stand later in the trial, that is relatively unusual. Only in high-stakes cases might both parties’ experts be in the same courtroom for the entire trial, and even then each of the experts only testifies in his or her turn. The trier of the fact, often a jury of lay persons, then must decide which of the experts it believes to be more credible, without having had the opportunity to have each expert explain why he or she agrees or disagrees with what the other expert has testified to. For years Australian courts have successfully used another approach. In the Australian approach both sides’ experts often appear in court at the same time and are primarily questioned by the judge. Each expert can immediately comment on the statements made by the other expert. In many ways the process resembles an election campaign debate where the moderator asks both candidates questions, and each must quickly respond to the other’s comments. In the hands of a skilled questioner it can be made clear to the trier of fact those points that both experts agree upon, which points they disagree upon, and why, with the reasons for each expert’s positions made clear right away. The jury would still make the determination. This practice known as “witness conferencing” (and sometimes referred to as “hot tubbing”) also has been successfully used in international arbitrations as well as courts in England earlier this year. Its use in the United States — whether by stipulation of the parties or as part of a court-ordered experiment — may only be a matter of time. Expert Website After graduating from Columbia Law School and serving as an officer with the Army Security Agency School, Mr. Goldsholle began his career as a trial attorney with the U.S. Securities and Exchange Commission. After several years of law practice at prestigious law firms, Mr. Goldsholle joined the Law Department at Metropolitan Life Insurance Company, and held a series of positions of increasing responsibility, serving as Assistant General Counsel, VP for Corporate Planning and Development, head of its investment and Fiduciary Services unit, an officer of its property/casualty and reinsurance companies, and President & CEO of MetLife's marketing subsidiary until early retirement. Later, in San Francisco, Mr. Goldsholle formed a financial services consultancy firm that worked with banks, insurance companies, brokerage firms and industrial companies in matters involving the design, distribution and structuring of a variety of insurance products, including variable annuities. Later, the firm morphed into one of the leading consumer-focused legal and insurance related websites as well as several other sites. Mr. Goldsholle is a member of the bars of California, New York, and the Supreme Court of the United States. He has chaired the Insurance Committee of the American Bar Association's Administrative Law and Regulatory Practice Section, the State Bar of California’s Group Insurance Programs Committee, and the New York City Bar Association's Administrative Law Committee, and held many other Bar leadership positions.